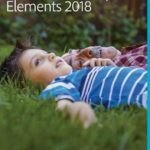 Corel PaintShop Pro 2019 Ultimate Free Download. 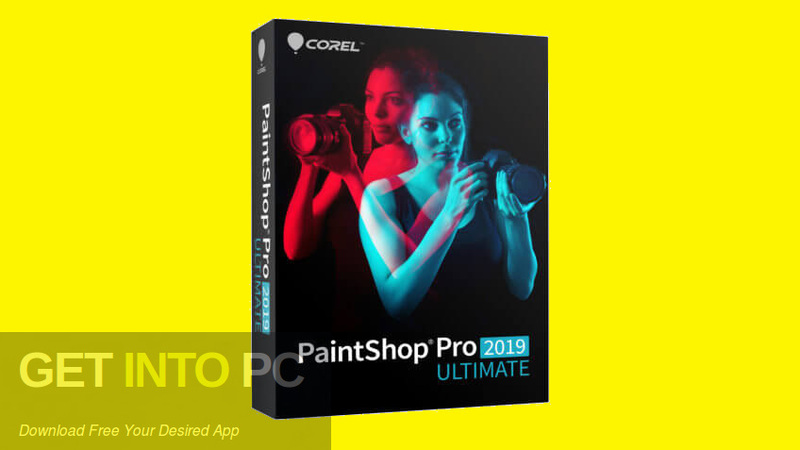 It is full offline installer standalone setup of Corel PaintShop Pro 2019 Ultimate. Corel PaintShop Pro 2019 Ultimate is a very handy application which will let you adjust different parameters of the photograph automatically. It will allow you to apply various different effects and view the EXIF data. 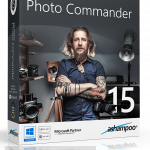 This is a fully functional and fully-featured image editor that has been equipped with some of the most impressive effects and correction tools. You can also download Corel PaintShop Pro 2018 Ultimate. Corel PaintShop Pro 2019 Ultimate provides you the means for organizing your images quickly by quickly selecting, sorting and rating them. It has got a very well organized and user friendly interface that has been divided into three major modules which are Manage, Adjust and Edit. Manage module allows you to tag or rate the photos plus it also allows you to edit the file information or view the EXIF data. Adjust module allows the users to quickly fix the photos as it has got Smart Photo Fix utility tha thas got the ability to suggest the right amount of brightness, shadows, highlights or saturation which your photos needs so that they look spectacular. In the Edit module there are loads of menus or tools which will allow you to edit your photos. 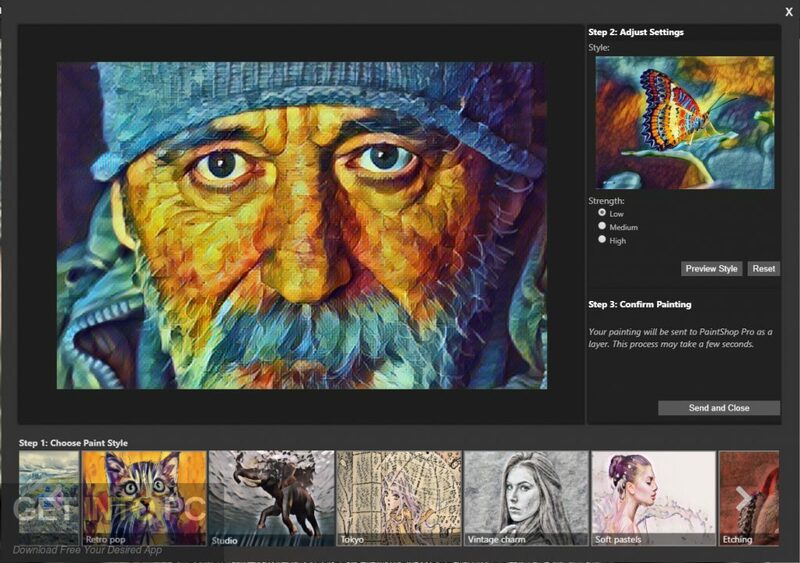 Other important features included in Corel PaintShop Pro 2019 Ultimate are RAW lab, Smart Carver, Selective Focus and Makeover Tools. The RAW lab tool allows you to enhance the histograms for better fine-tuning. Smart Carver tool allows you to remove the objects from images without affecting quality. Makeover Tools allow you to enhance your face. 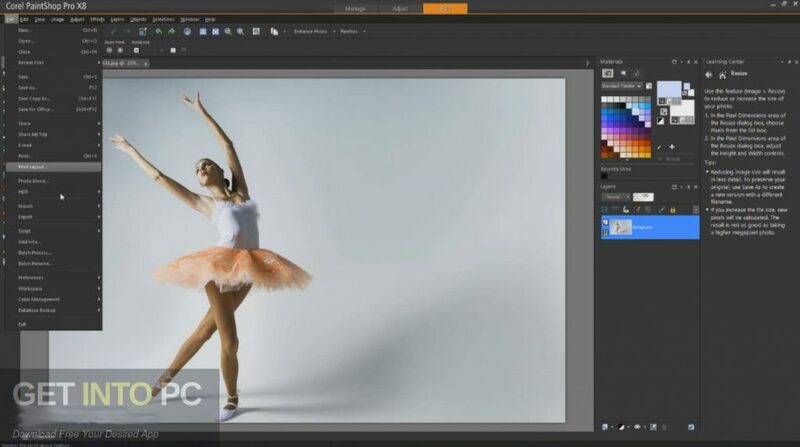 All in all Corel PaintShop Pro 2019 Ultimate is a very handy application which can be used for adjusting photograph parameters and for applying multiple effects. 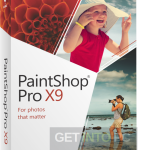 You can also download Corel PaintShop Pro X9. Below are some noticeable features which you’ll experience after Corel PaintShop Pro 2019 Ultimate free download. A very handy application which will let you adjust different parameters of the photograph automatically. Allows you to apply various different effects and view the EXIF data. Provides you the means for organizing your images quickly by quickly selecting, sorting and rating them. Got a very well organized and user friendly interface that has been divided into three major modules which are Manage, Adjust and Edit. Manage module allows you to tag or rate the photos plus it also allows you to edit the file information or view the EXIF data. Adjust module allows the users to quickly fix the photos. 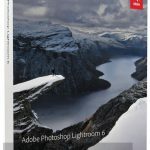 Got Smart Photo Fix utility that has got the ability to suggest the right amount of brightness, shadows, highlights or saturation which your photos needs so that they look spectacular. 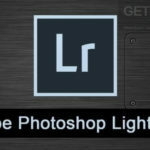 Got the RAW lab tool allows you to enhance the histograms for better fine-tuning. Got Smart Carver tool allows you to remove the objects from images without affecting quality. Got Makeover Tools allow you to enhance your face. Before you start Corel PaintShop Pro 2019 Ultimate free download, make sure your PC meets minimum system requirements. Click on below button to start Corel PaintShop Pro 2019 Ultimate Free Download. 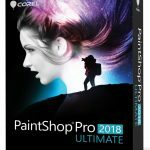 This is complete offline installer and standalone setup for Corel PaintShop Pro 2019 Ultimate. This would be compatible with both 32 bit and 64 bit windows.